Social Security is with you throughout life’s journey. During May, we celebrate Older Americans Month, and we want to highlight how we are here for you. We’re there when you get your first job, when you get married, and through years of work when you are paying Social Security taxes. 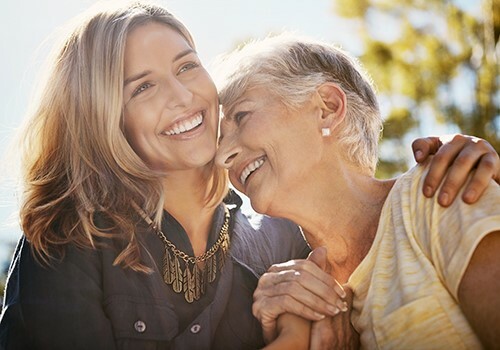 Our programs serve as vital financial protection for millions of Americans, and part of our journey together includes making sure you know what that protection means to you in your later years. We’re there to help you stay in control of your benefits with our online services — helping you do business with us from your preferred location. For example, if you damage or lose your Medicare card, you can order a replacement card easily with a my Social Security account. Having a personal my Social Security account helps free up your time to do other things that truly matter to you. If the time comes when you can no longer manage your benefits, you can count on Social Security to be there. Our Representative Payee Program helps millions of beneficiaries who cannot manage their Social Security or Supplemental Security Income benefits. A representative payee is a trusted family member, friend, or institution who can receive and manage the funds we pay for someone who receives benefits. Your representative payee receives the payments on your behalf and must use the money to pay for your needs, which include housing and utilities, food, medical and dental expenses, personal care items, clothing, and rehabilitation expenses (if you’re disabled). Your representative payee can use the rest of your benefit money to pay the cost of your care and provide money for your personal needs. Social Security looks for qualified individuals or organizations to represent you. Working with a representative payee is just one of the ways Social Security helps you secure today and tomorrow. Visit our representative payee website for more information. This entry was posted in Retirement, Survivors and tagged medicare, medicare card, My Social Security, my social security account, representative payee, Representative Payee Program by Jim Borland, Acting Deputy Commissioner for Communications. Bookmark the permalink. I’ve been working since I was 16.And I can’t retire until I m 65 and a half.Why?I just turned 61 this month. I think my friend if you work that long and you have 40 credit is law social security administration.you can retired at 62 years old.your are 61 years old it’s next year. You can retire at a reduced amount at age 62. Hi Lola. The earliest age you can apply for reduced retirement benefits is 62. We suggest you create a my Social Security account to review your earnings record and get an estimate of your future benefits. Please visit our Frequently Asked Questions web page for more information. How old do you have to before you can make unlimited money. I also would like to know at what age you can collect full so securely it with no penalty. Also I would like to know if the survivor benefits are taxed when you draw social security for your deceased spouse? I have to say I am so impressed with all the Advertising you are doing lately. It’s about time Social Security got some Credit for all the good things they do. Thank you, Rose! Your thoughts are important to us and we’re pleased when feedback is positive. We try hard to provide the best possible service to our customers and your satisfaction is our reward. It is nice to know that there is a reward for paying into the system, especially since I started to officially work at the age of 15. I am especially impressed with the print out of my entire work life. Your system data collection is great! Thank you. Thank you, Valerie! We’re pleased we can help. We will continue our efforts to meet your requirements and expectations in the years to come. I am Angela Provencio and I joined the ticket to work program and I feel there’s too much sterio typing in society. I went to college for 7 years but unfortunately I am disabled. I’ve survived 2 back surgeries and a neck surgery plus countless others due to R.A.. The problem is that I am no polar disorder Basicly either I’m all in or all out. I educated myself by attending college for 92 credit hours 7yrs. Here’s my problem how would I get my mental healt license and with what money. I live on less than a thousand amount, my rent alone is 600 plus electric. My credit was breached by experian credit bureau and my credit was ruined how can I get the money to fix that. I feel there would be no greater asset than someone to hire me because I’m 61 and was born rid way amoung it all I still managed to get ahead but how will I got forward it bipolar disorder is a disability and no one wants to hire someone lone me why are they scared. America needs to be educated. Thank you for this information and the benefits I can depend on. I am grateful. Need to create log-in and password. I have forgotten them. This is for a mySocialSecurity account. Thanks. Call 800-772-1213. Personal problems cannot be taken care of on a public blog. I’m 65 and rent an apartment in Washington DC for $1,475/month. My monthly benefits is $822/month so I drive a cab part time to supplement my income. What programs are out there to help me with affordable housing to make ends meet? Only thing you can it you are taxi driver and you benefits from social security.my friend is apploy for public housing.you can not paying rent higher money you not suppose to pay my friend. Some individuals may also be eligible to receive social services from the state in which they live. These services include Medicaid, free meals, housekeeping help, transportation or help with other problems. You can get information about services in your area from your state or local social services office. Or you can visit the U.S. Department of Health and Human Services (HHS) web page for more information. Because I worked for the State of Ohio as an employee of The Ohio State University, my employment in private industry is “hit” and now that I’m a widow, I’m even more penalized. Do I have to move out of Ohio in order to be able to receive all the benefits I’ve earned over my employ -ment history and that of my husband of almost 53 years? If that is an option, maybe it’s something I need to think about seriously. Thanks, it is Really Hard for me to Get by being a Widow and being on Disability? My Income is Very LOW? I have a Mortgage, Car Payment, High 𝘔𝘦𝘥𝘪𝘤𝘢ll Bills/ Medicine, Utility’s, and trying to just keep things up that Seams to Constantly BREAK? I don’t have Money to do Any Remodels that desperately Needs to be Done ✅. I’ve had had 8 Major Back Surgeries and 4 Total Knee Replacements on the Same Knee and when My Husband passed away just over 3 years ago I had NO Life INSURANCE? I just REALLY Have it ROUGH!!!! I Only Draw 1500.00 a Month including mine and Widows/ Pay it’s TOUGH? We seniors have not received a raise in over 2 yrs, when will we got one? There have been cost of living increases. If you did not see one and are on Part B of Medicare it is likely you are affected by the “hold harmless” provision. If you are not paying $134.00 a month for Part B, then your Part B is being subsidized. 70% of social security recipients on Part B are subsidized by the 30% who have to pay a higher premium to make up for the fact that 70% are not paying the full premium. Your cost of living is going toward your subsidized Part B to reduce the amount of extra the 30% must pay. The problem is the announced premium amount must reflect 25% of Medicare’s expected cost for Part B, so the more Part B is used, the more the program costs. The other 75% is covered by taxes. The point is that there is a larger problem than some people not getting a cost of living that shows up in their payment. Congress is making 3 out of 10 Part B recipients pick up the slack. The system needs fixing. In reality, if it wasn’t for “hold harmless” your social security check would go down when the cost of living is lower than the premium increase. Hello, I am trying to retire, I am 66 so I made an appointment with the SS office, where they let me know that in 2005 I did not report any income that was a surprise due that 2005 was a year that I made more money. I contact with the IRS and they let me know they do not keep your records for so long, but at least when I explain my situation, they try to help and send me a transcript of the 2005. I went back to the SS office and show the transcript but the person let me know that they can not apply that income because they do not know if is for rents. I explain them that I have always worked as a self employed and sometimes also with both self employed and W-2 and clarify that I do not own any property so I have never report my income tax with rents. Hello Maria. Unfortunately, but for security reasons, we do not have access to personal records in this blog. Please continue working with your local office. If you are unable to visit the local office, you can call our toll free number at 1-800-772-1213, representatives are available Monday through Friday, between 7 a.m. and 7 p.m. Generally, you will have a shorter wait time if you call later during the day or later in the week. Thanks. This is more of a question then a comment. How do I go about getting any portion of my late husbands SS benefits? We as older Americans certainly appreciate all the good you do for Social Security receptionist’s. Keep up your dedicated efforts. IN GOD WE TRUST AND GOD BLESS AMERICA. AMEN. ! ! ! I receive an extra Social Security payment in the month of May on May 31. What is this or will they pulled it out once they know that two payments I received, one on May 22 and the last one May 31. Hello Steve. Generally, beneficiaries receive only one payment a month. However, there may be times when additional payments may be issued when retroactive benefits are due. Unfortunately, and because of security reasons we do not have access to personal records in this blog and cannot provide an answer to your question at this time. One of our representatives should be able to provide you with an explanation, and direct you to return the extra payment if necessary. Please call our toll free number at 1-800-772-1213 for assistance. Representatives are available Monday through Friday, between 7 a.m. and 7 p.m. Generally, you will have a shorter wait time if you call later during the day or later in the week. Or you may contact your local Social Security office directly. Thanks! Can someone PLEASE update my phone numbrr? I have the Somerset KY, office claims they have , not to just but my husbands ss well. Several attempr’s and result!!! Hello Mary, for security reasons, we do not have access to personal records in this blog. If you get Social Security benefits (retirement, survivors, or disability) or are enrolled in Medicare, you can change your address and update your telephone number online by using a my Social Security account. Thanks! I understand that those of us who served in the military in the late 50’s could get an adjustment for lifetime earnings because of low pay . How do you go about checking on this . Hello William, if you were in the military from 1940 through 1956, including attendance at a service academy, you did not pay Social Security taxes. However, your records are credited with special earnings that may help you qualify for Social Security and Medicare or increase the amount of your Social Security benefit. Read more at “Military Retirement And Social Security Benefits“. Thank you for contacting us, Honesto. Just a reminder – For security reasons we do not have access to personal information, therefore, we cannot update your records. If you get Social Security benefits (retirement, survivors, or disability) or are enrolled in Medicare, you can change your address online by using a my Social Security account. Thanks! Good information. How can I become a representative payee? I would enjoy doing something like that if I can make it a source of income gor me..
See “When People Need Help Managing Their Money” for information. Thank you! I applied for a position with ISN. Yes I should be thankful – I receive a $5 a month increase for the past 10 years while my Medicare part B premium goes up each year to take it away. Gee thanks. The $250 death payment with today’s inflation is meaningless. If you even get it. My friend who was going through a divorce had moved out of the house paid for all his deceased wife’s funeral expense and didn’t receive a cent even though he took care of these expenses. Gee thanks again. Keep this in mind when those in government collect all their freebees at our expense. 2 identical payments in May. I receive an extra Social Security payment in the month of May on May 31. What is this or will they pulled it out once they know that two payments I received? First payment on May 23 and the last one May 31. I will not spend this until I get an explanation that it is mine to keep. Hello Steve. Unfortunately, and because of security reasons we do not have access to personal records in this blog. One of our representatives should be able to provide you with an explanation, and direct you to return the extra payment if necessary. In my estimation, Social Security has been the American workers’ greatest investment.. The worker who has always earned wages equal to the National Average Wage Index will be earning a 33% return on the SS taxes he or she will have paid since age 22 (I do not include employer match) and retires this year age age 66. Further, in my estimations the Social Security Administration is the most efficient entity within the US Government. What you do on a monthly basis is phenomenal. My payment to Medicare for Part B coverage. I have had the problem for over 2 years and no one from SS or Medicare has helped me effectively. I am needing medical help and money for medical payments for an ongoing disease. Can I set up a ‘my Social Security’ account for my late husband? I would like to be able to see what the payouts would be, as I plan to collect his amount and let mine grow until 70. I am a military person looking for y Note of Award Letter. Can you send me a copy to my yahoo account? Very thought out, and easy to navigate ! Caps need raised and the trust fund needs locked, because it would be horrible for our elderly to go back to the days before August of 1935 of extreme poverty and loss of dignity. I know I keep requesting a code/password to open MY SOCIAL SECURITY,but once again I need help. Once I receive it My granddaughter and only my granddaughter will assist me in setting up MY SOCIAL SECURITY account. Please send a code/password through the mail. My granddaughter Samantha Rae Michelle Wilson, is an adult now and I trust her confidentiality and with my life. She turned 21 and this year she will be 22. When time comes she and only she will be my confidant/care giver. P. S. I have been diagnosed with DEMENTIA. When I get to the point where I need assistance, what documentation do I need for Samantha to fill out? Could the social security helper on this website please answer a simple question that is really confusing to me? I am waiting until I turn 70 to claim my retirement benefits in order to receive maximum benefits. I only have a few months left. What I am wondering is, if I turn 70 on the last day of a month, when should I apply? I read somewhere here on this website that I should apply 3 months in advance. But I don’t understand whether I would count that from the first of the month that I turn 70 or the 30th or 31st of the month, based on my birthday. For example, if my 70th birthday were the last day of November, the 30th, would I apply on August 30 or on August 1st or September 1st? I guess what I want to know is when your birthday is the last day of a month do they count it as the beginning of your 70th birthday month or count it on the 1st of the next month after having fully completed your 70th birthday???? Thank you for your question, Mary. Yes, our system is set up to take applications three months in advance. In the example you provide, if your birthday is the last day of the month of November, you’ll want to select November as the month of entitlement. Remember that benefits are paid the month after they are due. So, for instance, if your benefits begin with the month of November, you will receive your first benefit payment in December. Need help with My Social network. Hello……need assistance with My Social Network. Your payments are established almost immediately after we process your application. However, the length of time it takes to process your application for benefits varies. We attempt to resolve all claims promptly, but there may be delays due to the volume of pending cases in your area. Remember that benefits are paid the month after they are due. So, for instance, if you want your benefits to begin with the month of June, you should receive your first benefit payment in July. Social Security bases its payment dates on the birthday of the person on whose record the benefit payment is received. See our “Schedule of Social Security Payments” web page for more information. We care about our customers and are working as fast as we can. For security reasons, we do not have access to information about your account in this venue. To follow up on the current status of your application, call our toll free number at 1-800-772-1213 (TTY 1-800-325-0778) and speak to one of our agents. Representatives at are available Monday through Friday, between 7 a.m. and 7 p.m. Or contact your local office. Thanks! I am waiting until 70 years old to get maximum benefits. What I am wondering is if my birthday falls on the last day of a month when should i apply for retirement? For example, if my 70th birthday would be November 30, do they count your 70th birthday from the first day of November because that’s the birthday month or the first day of December after I would have actually completed my 70 th birthday?? And would I apply on August 1st, August 31st or September 1st to get maximum retirement benefits at age 70??? I’d like to meet with someone who could give me authoritative advice regarding my impending social security, medicare, etc. Thanks. Some of our local offices do offer walk-in appointments; however, these appointments are on a first come, first serve basis. Remember, most Social Security business do not require a visit to a local field office. In fact, many services, including applying for retirement, disability and Medicare benefits, are always available on our website. You can create a my Social Security account, to review your earnings record and get an estimate of your future benefits and more. You may also call our toll free number at 1-800-772-1213 (TTY 1-800-325-0778) for assistance. Representatives are available Monday through Friday between 7 a.m. and 7 p.m. Generally, you will have a shorter wait time if you call later in the week. Thanks! You can call our toll free number at 1-800-772-1213 and speak to a Social Security representative between 7 a.m. and 7 p.m. Monday through Friday. Generally, you will have a shorter wait time if you call later during the day or later in the week. If my birthday is the 30th of a month and I am waiting until age 70 to claim full retirement benefits, on what day of what month would I apply for retirement. I read somewhere on this website that you should apply three months in advance. And I certainly do not want to get penalized in my last three months for applying too soon after having waited 70 years!! For example, if my birthday were November 30, would I apply on July 31st? September 1 st? September 30th? August 31st? August 1st or when exactly would I submit the application to fully receive maximum benefits for being 70 years old? Tank you in advance for your help. Thank you but you did not answer my question completely. Can you please be more specific? I want to know WHAT DATE TO APPLY for benefits so that I do not apply too early or too late. Working with a 70th birthday date of November 30 and applying three months before that, WHAT DATE WOULD I APPLY? The first of a month? The last of a month? What month? And what date? Hello Mary. You will need to apply at anytime within 3 months prior to the moth of November. We suggest you apply anytime between August 1st and no later than October 31st. You can complete an application for Retirement Benefits online. •Call us at 1-800-772-1213 (TTY 1-800-325-0778), representatives are available Monday through Friday, between 7 a.m. and 7 p.m. Or you can visit your local Social Security office. An appointment is not required, but if you call ahead and schedule one, it may reduce the time you spend waiting to apply. Your payments are established almost immediately after we process your application. If your birthday is the last day of the month of November, you’ll want to select November as the month of entitlement. Remember that benefits are paid the month after they are due. So, for instance, if your benefits begin with the month of November, you will receive your first benefit payment in December. I have one more question. When I apply for my social security retirement benefits at my full retirement age of 70, is it mandatory and do I HAVE TO apply for Medicare if I am still employed and am receiving medical and prescription drugs insurance from my employer? Currently, my employer charges me $30. per month for complete comprehensive medical insurance which also includes drug benefits. Why should I have to pay $134.00 a month for Medicare which does not have as good of coverage as I already have? I do NOT want Medicare. So what I would like to know is do I have to automatically apply for iMedicare by law when I turn 70 and take my social security retirement benefits? Hello Mary. Actually, we recommend that individuals enroll in Medicare Part A (hospital insurance), at age 65. Medicare Part A is free for insured people and helps pay for inpatient hospital care and certain follow-up services. If you’re eligible, you should apply for Medicare Part A, even if you’re covered by other health insurance. Also, a beneficiary may refuse Medicare Part B, if that beneficiary or the spouse, actively works and has coverage under a group health plan based on that employment, then he or she doesn’t need Medicare part B until the work activity ends or that health care coverage is dropped. However, we always suggest that individuals speak to their personnel office, health benefits advisor, or health plan representative to see what’s best for them, and to prevent any penalties or delayed enrollment in the future. For specific questions about your case, call 1-800-772-1213, Monday through Friday, between 7 a.m. and 7 p.m. and ask a representative to assist you, or you can contact your local office directly. Thanks! employer? I am now 69. Hello Mary, you will not be penalized if you are actively working and covered under your -current- employer’s health insurance program. Please call our toll free number at 1-800-772-1213 for further assistance. Representatives are available Monday through Friday, between 7 a.m. and 7 p.m. Generally, you will have a shorter wait time, if you call later during the day or later in the week. Thanks! We are sorry to hear of your loss, George. Unfortunately and for security reasons, we don’t have access to personal records in this venue. To see if you and other family members (children) are eligible for survivor’s benefits, you need to contact us. At this time, we do not offer an online application for survivors benefits. Please call us at 1-800-772-1213 to report the death and to apply for benefits. Representatives are available between 7 a.m. and 7 p.m. Monday through Friday. You can also contact your local Social Security office. An appointment is not required, but if you call ahead and schedule one, it may reduce the time you spend waiting to speak to someone. For more information, please read our publication: How Social Security Can Help You When a Family Member Dies. my x husband passed away in May and he drew social security plus disability for the disease caused his death at 72. I qualify for his social security since we were married 37 years and his is higher than mine. I am wondering if I get the benefits just like he got ? His social security and the disability ? If that is taken off then I have medical issues that would quality me for disability. Will it tell me in my paperwork the breakdown of the pay I will receive from him ? I will need to know if I should apply . We are sorry for your loss, Joyce. The “award” letter should explain the new benefit amount. Please keep in mind that if a person has reached his or her full retirement age (Currently 66) and is receiving Social Security retirement, they will not be eligible for disability benefits. Unfortunately, and because of security reasons we do not have access to personal records in this blog. One of our representatives should be able to provide you with an explanation. Please call our toll free number at 1-800-772-1213 for assistance. Representatives are available Monday through Friday, between 7 a.m. and 7 p.m. Generally, you will have a shorter wait time if you call later during the day or later in the week. Thanks! Hello, I am on disability, as was my fiance of 7.5 years. We lived together and helped each other out when needed. We intended on marrying in Feb,2019 but sadly he became ill in Oct, and after having open heart surgery, he passed away on Nov. 18th. Do I as his fiance, who lived with him as husband and wife for 7.5 years, have any legal right to draw on his social security disability, given that I depended on him for having a stable roof over my head after my own disability and not being able to draw much on my own record? He began a will in 2016 that would have left me most of his estate, but having just come out of the hospital for heart-related issues, he became very depressed trying to deal with his own mortality, he never finished his will and now I will be pushed out of our home by his children and at my income will have a very difficult time managing to cover all expenses. Can I draw from his social security, which I have come to depend on for the last 7.5 years? Why can one not get a straight answer to some simple questions on this web side ? Hello Wilfried. As you are aware, we get many questions through our Social Security Matters Blog postings and we always attempt to respond to as many of the comments and questions as we possibly can. Our goal is to give readers information about a variety of topics, including our programs, online services, current events, and human-interest stories, usually in greater detail than typically shared on our other social media platforms. Our apologies, if we missed your question, consider re-submitting it again. Thanks! I live abroad and my address is still the same and I did not received my SSA Form 7162 last year and they cut my retirement benefit in February. The US Embassy in Manila sent my Form 7162 after I completed it last Feb. It’s been 3 months now I don’t receive my SSA retirement benefit. My Embassy Representative said she made a follow up already. How long does it take for them to re instate my SSA monthly pension benefit? I have to buy my monthly maintenance madicine and pay my house rent. Another question is why can’t we use my SSA personal account to communicate to this office?